HOUSTON, TX, March 28, 2018 – Sentai Filmworks announced today that it acquired all distribution rights to Tada Never Falls in Love for North America, Australia, New Zealand, UK, Ireland, South Africa, the Netherlands, Scandinavia, Spain, Portugal and Latin America. 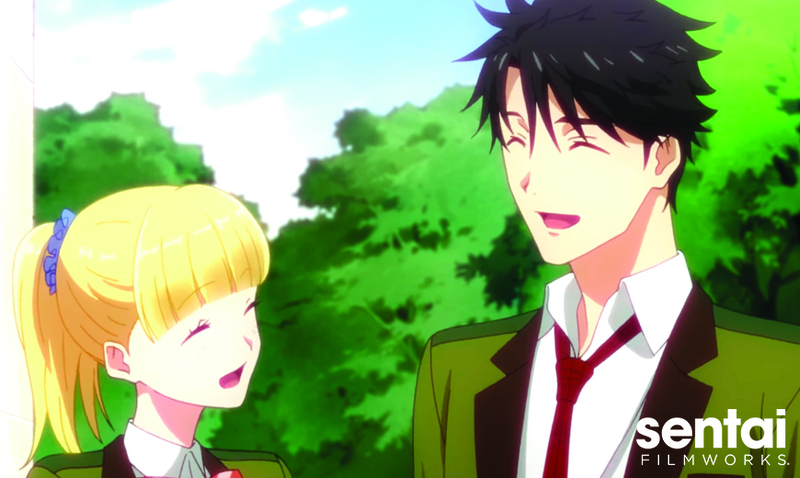 The 12-episode original series by Doga Kobo (Monthly Girls’ Nozaki-kun, Himouto! Umaru-chan) explores the wonder of adolescence through the eyes of Tada, a thoughtful teen who finds beauty through his camera lens but has never fallen in love. One serendipitous day, Tada is taking pictures of cherry blossoms and unexpectedly meets Teresa, a transfer student from Luxembourg. Tada helps Teresa as she gets separated from her group and takes her to his grandfather's coffee shop. As Tada and Teresa’s friendship begins to blossom, Tada starts to question his feelings. The original anime will be directed by Mitsue Yamazaki (Hakkenden: Eight Dogs of the East) with series composition from Yoshiko Nakamura (Kabukibu!) and character designs by Junichiro Taniguchi (Monthly Girls' Nozaki-kun). Tada Never Falls in Love will be available to stream on select digital outlets for the Spring 2018 simulcast season, with a home video release to follow.